The Beetle lounge chair by Gubi is characterised by its comfortable and generously cut silhouette, that invites you to relax. The lounge chair was designed by the Danish-Italian designer duo GamFratesi, which, as the name suggests, was inspired by the insect world. The design of the chair is reminiscent of the essential, external features of a beetle with its bent legs, rounded, cup-shaped backrest and visible seams. The curvy shape of the lounge chair as well as the legs out of brass provide a slight vintage touch that fits into both classic and modern settings. Thanks to the soft upholstery, the Beetle chair is particularly comfortable. It is suitable as a stylish addition to any sofa or alone as a comfortable seat in the reading corner. 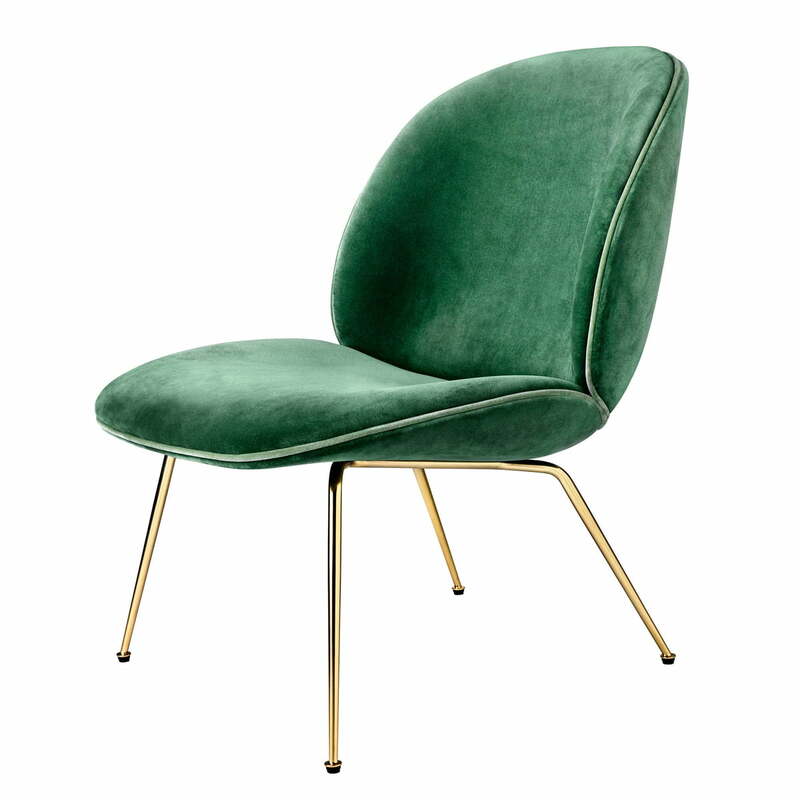 Lifestyle product image of the Beetle lounge chair: The Beetle lounge chair by Gubi is characterised by its comfortable and generously cut silhouette, that invites you to relax. 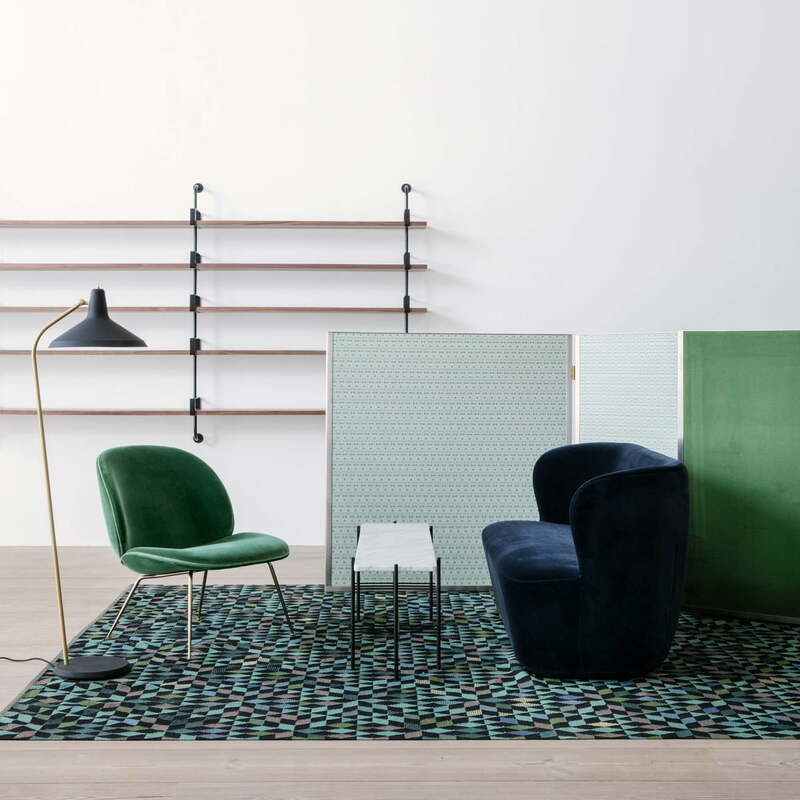 The curvy shape of the lounge chair as well as the legs out of brass provide a slight vintage touch that fits into both classic and modern environments.